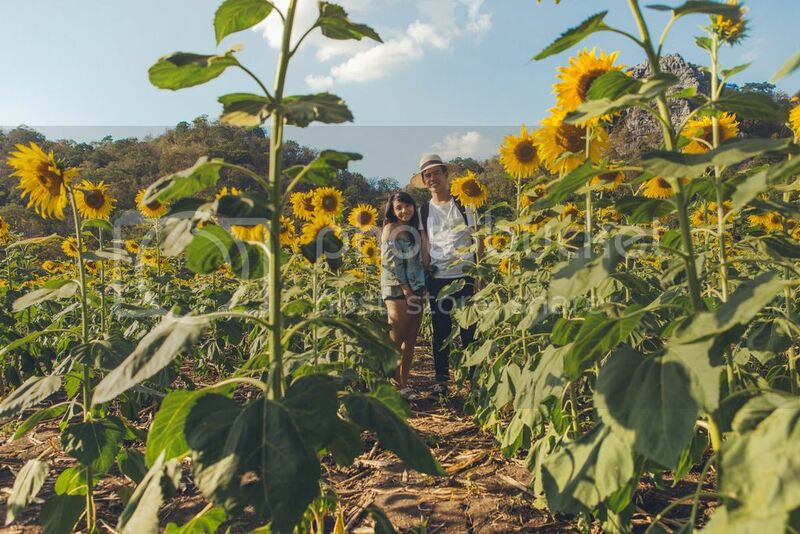 So after the previous two posts on Ayutthaya Temples, Lopburi sunflower fields and monkey temple, here's how to get to them! I'll cover the costs for our travel and the types of transportation available. 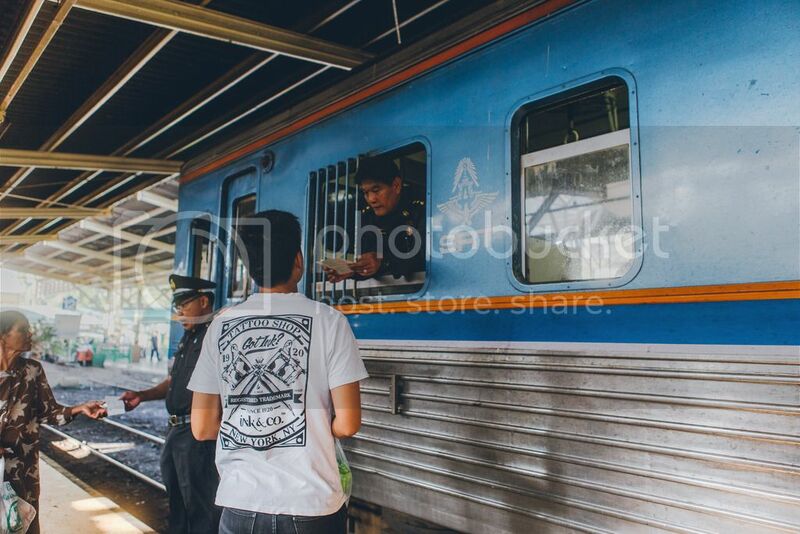 Most railways that depart from Bangkok start at Hua Lamphong railway station. It's located in the central, near Bangkok's chinatown and some of their popular temples so it won't be too hard to find. In fact, Google maps is all you need! Many locals depend on the railway to get around to the other parts of Thailand, mainly because it's the cheapest form of transportation. Prices could go as low as 30baht (SGD$1.25) for a one-way journey, but that depends on your destination and the cabin you choose. More about that later. Regardless of where you're heading to, you can just buy your train tickets at the counter on the day itself. Most of their staff at the counter will be able speak English, so you'd have no troubles getting your tickets. Should you purchase your tickets earlier? There is no need for you to buy your ticket beforehand, you can just purchase it on the day itself. Even if you wanted to purchase them earlier, you would probably have to go down to the railway station to purchase your tickets. However, if you're travelling during the peak season and you're paranoid about not getting a seat during your journey, then you can probably book a ticket through an agent. That will easily cost you at least SGD$10 more, since the tickets will be priced higher and there will be handling fees. How frequently does the train leave? The train leaves relatively frequently, at about 30mins to an hour interval. You can check the train schedules here. The trains leave quite punctually. The train to Ayutthaya takes about 2 hours, whereas the journey from Lopburi back to Bangkok was about 3 hours. The last train back to Bangkok (important for you to catch the last train if you're planning on just a day trip out) would be 6pm. How do Bangkok railways work? Simply put, Bangkok railways run a little differently from the Singapore MRTs that we are used to. They have three types of cabins - the First Class (also known as sleeper cabin), Second Class and Third Class. Their prices range a fair bit, and the facilities offered are also different. The Third Class cabins (also the most common), are the most popular among the locals, mainly because it's the most affordable. A journey from Bangkok to Ayutthaya would cost you 15baht ($0.60SGD) per person. However, for third class cabins, you do not get an assigned seat. It's something like the public train where you have to fight for your own seat or stand throughout the rest of your journey. There is also no air-conditioning or cushioned seats. But you do get lots of wind coming from the open windows. If you're travelling on a short 2 hour trip to Ayutthaya, the Third Class cabin would work just fine! In the mornings, it seems like there aren't many people taking from Hua Lamphong station either, so chances are you'd most likely be able to get yourself a seat. Most tourists would take this cabin. You get an assigned seat number with cushioned seats, and the comfort of being in an air-conditioned cabin. 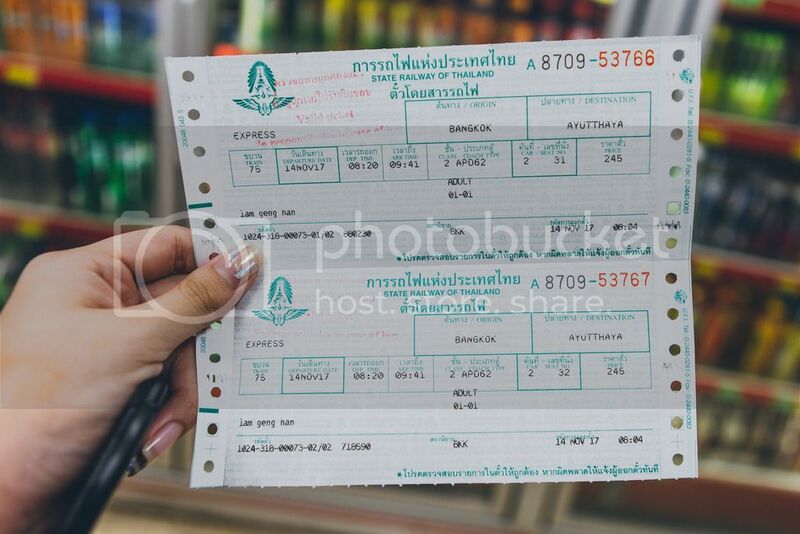 However, the price for the journey from Bangkok to Ayutthaya would cost you 245baht (SGD$10.20) per person. Yeah... It's not thaaaaat expensive but when compared to the $0.60 trip? You could save almost $10!! If anything, take the Second Class cabin only when you're done with your day trip and want a comfortable journey from Lopburi to Bangkok (3-4 hours). The last few trains back to Bangkok in the evening is generally packed because there are a lot of students and locals on the train, and the weather is not going to be the kindest so you'd love some air-conditioning. We took the Third Class from Lopburi to Bangkok, almost didn't get any seats, and died sweating like crazy. But for the price of 28baht (SGD$1.10), we endured. Because we already spent SGD$11.20 x 2 for our first train ride. The First Class cabins are also known as the sleeper cabins, simply because they have a bed and your own personal space. 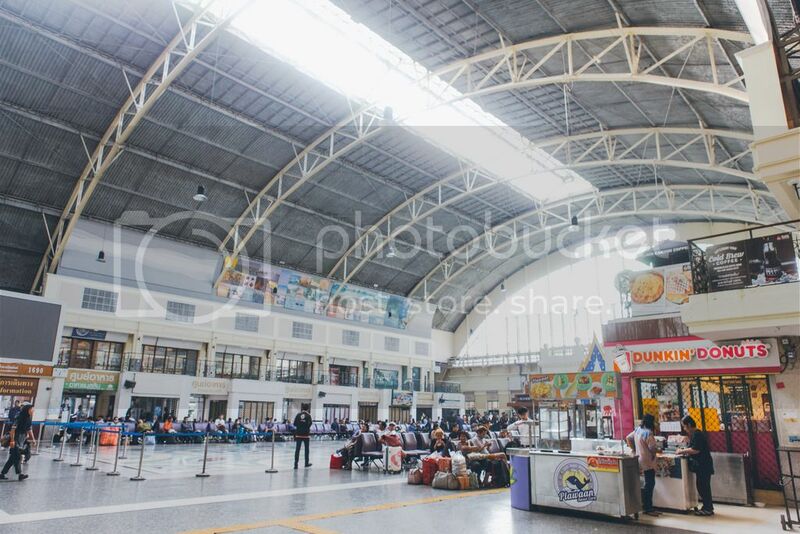 It's generally for travellers on a longer journey, such as from Bangkok to Chiang Mai. You probably don't have to consider this option if you're just heading out for a day trip to the aforementioned places. How do I know if I've reached my stop? There will be personnels in uniform checking your tickets every now and then. 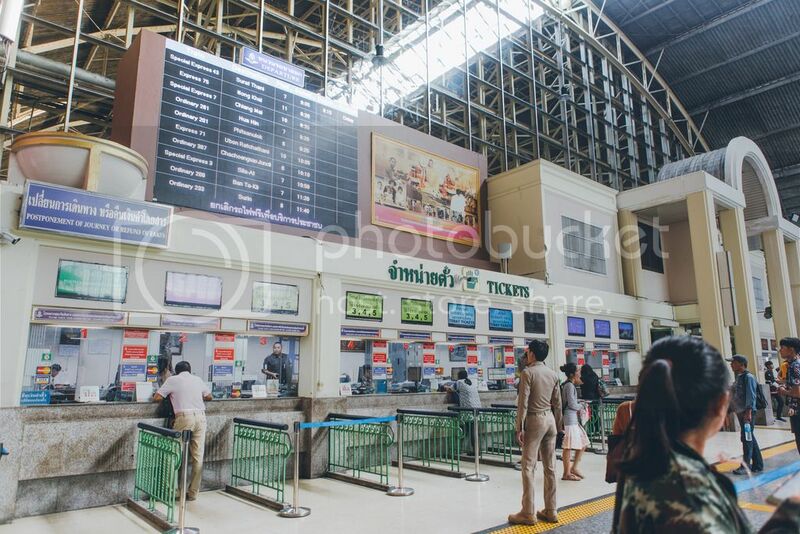 When the train arrives at a popular stop such as Ayutthaya or Lopburi, they will walk down all cabins to inform the passengers of the station stop. Otherwise, do not hesitate to ask the staff as they are quite friendly and helpful. If all else fails, you always have Google Maps. The SIM cards you buy at the Bangkok airport will still have reception while you're out. So we spent about SGD$39 per person for the day trip, not the cheapest, and I think we could have saved $10 per person if we took all third class cabin trips. Food wise, we only spent about 50baht (SGD$2) per person on a hearty bowl of street boat noodles and bottled water! And maybe another 25baht on some thai milk tea heh. The fares for your tuktuk/taxi while you're at the temples or the sunflower fields are unavoidable, as these attractions require the driver to drive about 30km to and another 30km fro. So if you have more people going on this day trip, then it will be more worth it since you have more people to share the transport fares with. If you're the extreme cost savvy type, then you can opt for a motor/bike rental! There's a few right outside the stations, and their fees are about 150baht/hour. If you're planning to head to Bangkok this December (or Jan), then you're in luck!! 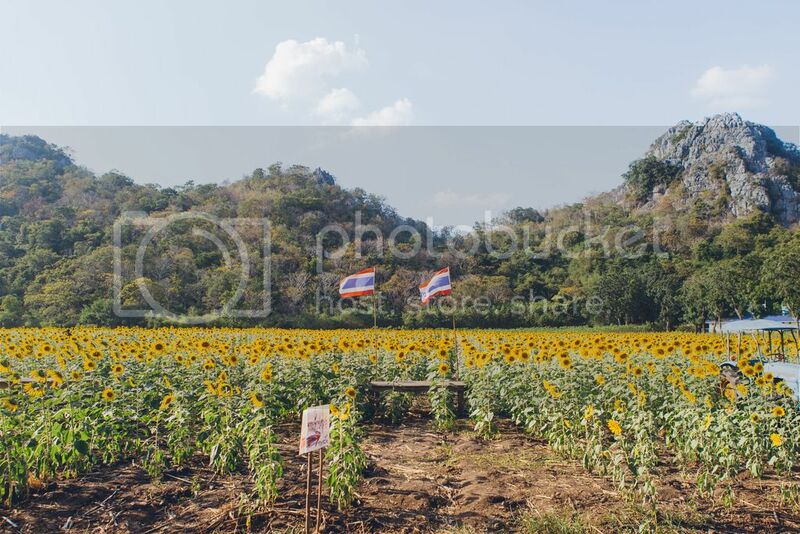 The Lopburi Sunflower fields will be in season up till January. The field was already quite plentiful when we visited in mid Nov, so I imagine the fields to be in its full bloom now. 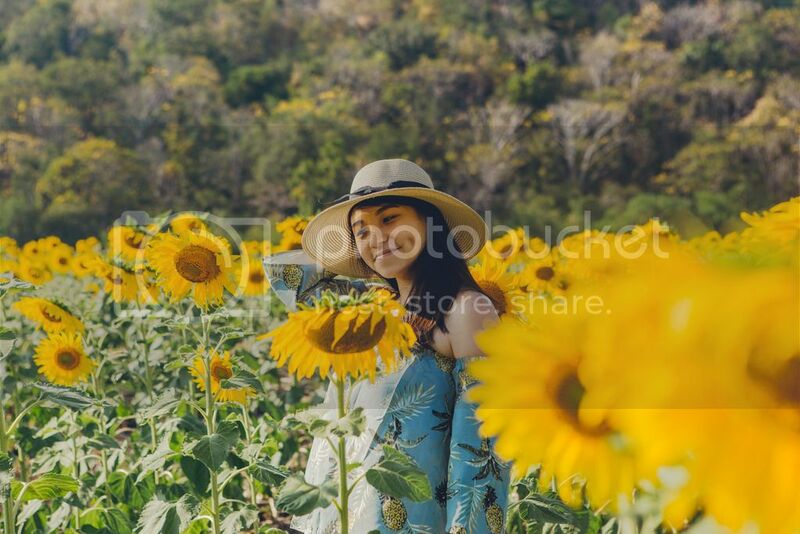 If you're heading to Bangkok anytime from now till December, consider adding the Ayutthaya temples, and Lopburi Sunflower Fields & Monkey Temples to your itinerary! I'm sure it will be worth it! Even the monkeys were fun, although a little bit intimidating ha ha ha. Till the next part where I'll do up a Bangkok video! I will definitely be writing this article for TripZilla as well, so you can keep your eyes peeled for it too hehe. Super stoked for the next plane flight that I will be catching on Monday!! Maybe I'll write about that, or something else pretty soon.